Mukherjee Commission! Many citizens of India may be unfamiliar with this terminology. A media of a country that focuses more on trivial issues for political motives rather than genuine concerns is bound to influence people’s mind towards triviality. This has been happening in India for several years. Hence, it is but natural for the citizens to stay dormant on Mukherjee Commission issue related to Netaji’s death. No wonder Bollywood, intelligentsia, and a majority of people do raise placards and lead a peoples’ movement on issues that are petty, that only bring defame to the nation. But no such peoples’ movement is being witnessed on issues related to the Netaji Files. As history books do not glorify Netaji and the INA on their role in getting India freedom, it is again expected of the majority to remain quiescent on this. Thanks to the efforts of Maj Gen GD Bakshi, Anuj Dhar, INA related organizations, and Netaji fans. By their efforts this issue has been regularly raised, which resulted in release of few declassified files. PM Modi put the first lot of 100 files related to Netaji in public domain on January 23, 2016. This was released on the occasion of Netaji Bose’s 119th birth anniversary. The second lot of 50 files was released in March the same year followed by release of 25 files each in subsequent months. More files are waiting to be released, which will throw more light into more details about Netaji and the Azad Hind Fauz. It is through the declassified papers in the National Archives that revealed how Nehru government initiated snooping on the Bose family for over 20 years from 1947 to 1968. What is the Mukherjee Commission? It was a one-man board, constituting Justice Manoj Kumar Mukherjee, a retired judge of the Supreme Court of India, to lead an inquiry into the death of Netaji Bose. This board was constituted by the Government of India in 1999. 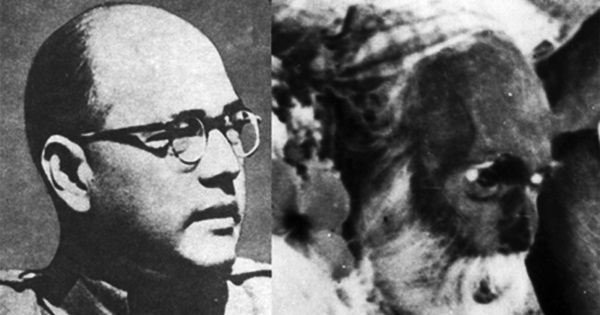 The objective behind creating the board was to find out whether Netaji Bose was dead or alive. Anuj Dhar’s book India’s Biggest Cover-up, a TV adaptation of which was featured under the banner ‘Bose: Dead/Alive’ on JioCinema in 2017 deals in this issue. But the mystery still remains. Was he alive under the disguise of Gumnami Baba? There were several theories related to it. While a section claims the Gumnami Baba episode was created by the Congress to keep the Indians in dark about Netaji, a few claim Netaji was tortured to death. Another section claims Netaji died in the plane crash. The opening of the files will put all the claims to rest and the truth will be revealed. The Mukherjee Commission was constituted to find answers to these very claims. I recently met Lt. Asha Sahay, aged 91 at her home. She served as a lieutenant in the Rani Jhansi Regiment of the Azad Hind Fauz. Her mother played an instrumental role in coming to India all the way from Singapore to meet Netaji Bose to convince him to move to Singapore and lead an army of Indians from there against the British. Netaji Bose was then under house arrest by the British. He was lodged in jail, but because of his deteriorating health condition, he was put under house arrest. The elder Mrs. Sahay revealed to Lt. Asha Sahay that Netaji experienced around 90% burns in the crash and later died in the hospital. 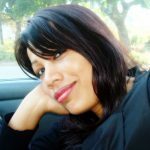 The incident was narrated to her by a survivor of the plane crash. According to this claim, the ashes of Netaji are stored in a Buddhist temple in Japan. Mukherjee Commission is directed to find out whether this claim was true and whether the ashes stored in the temple are of Netaji. The Commission was also directed to find out Netaji’s whereabouts if he is alive. According to the reports of the Mukherjee Commission, which also probed into the Soviet-connection, Netaji Bose did not die in a plane crash. The report claims he was detained in a Siberian prison in the late 1950s. The claim was also based on an account narrated by a former Russian General, who also swore under oath. The Russian General revealed he had seen a genuine Soviet-cabinet paper that contained detailed account about Netaji Bose after a year of his ‘supposed death’. Bose was referred in the document as ‘living’. It took seven years for Justice Mukherjee to come to this conclusion that Netaji Bose did not die in the plane crash. But the Govt. of India rejected this part of the claim. Before the Mukherjee Commission, two Commissions were earlier constituted by the Govt of India to inquire on the death mystery related to Netaji. These were the Shah Nawaz Committee constituted in 1956 and the Khosla Commission in 1970. Both the Commissions concluded that Netaji Bose died in a plane crash on 18 August 1945 in Japanese occupied Formosa (now Taiwan). It is time the complete files related to Netaji are released. It is time the Mukherjee Commission is retabled in the Parliament. We, as citizens of India, have every right to know about everything related to Netaji. Jai Hind! Honour INA and Netaji Bose; Let INA Veterans be Included in RD Parade: Maj Gen GD Bakshi Netaji Bose Disappearance Mystery: What Credible Inputs From Russian Archives Say! 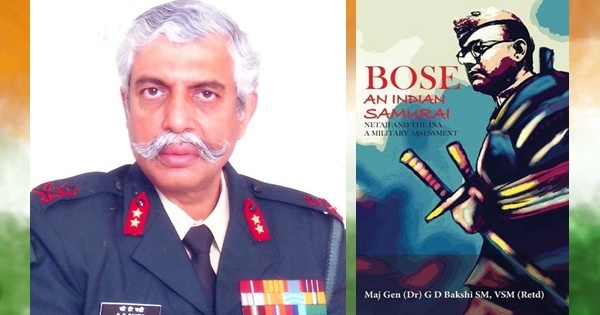 Netaji, not Gandhi got India Freedom, Claims GD Bakshi’s Book Why No Statue of Netaji Bose on Rajpath and No Memorial of 26,000 INA Soldiers: GD Bakshi Archival Data and Attlee’s Statement Prove Netaji and INA Trials Forced British to Leave India: GD Bakshi Was Nehru behind the Missing Azad Hind Fauz Treasury?